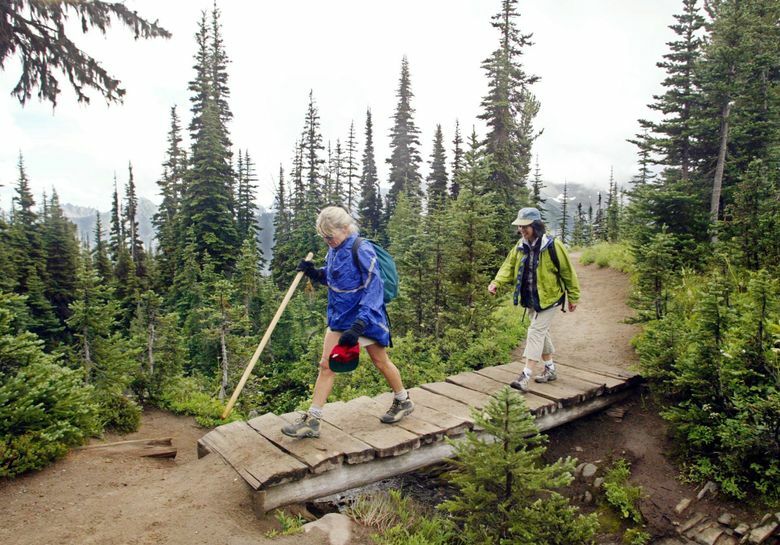 Advance reservations for backpacking along the Wonderland Trail in Mount Rainier National Park have been halted following a surge in requests. Overwhelmed by a surge in requests for backpacking permits on its Wonderland Trail, Mount Rainier National Park has had to stop accepting reservations for the summer hiking season. The park has received so many requests for permits that on Friday it announced it is “no longer accepting reservation requests for hiking the Wonderland Trail (either the full circuit or large portions), for the summer 2015 hiking season due to overwhelming and unprecedented demand,” said a statement from the park. 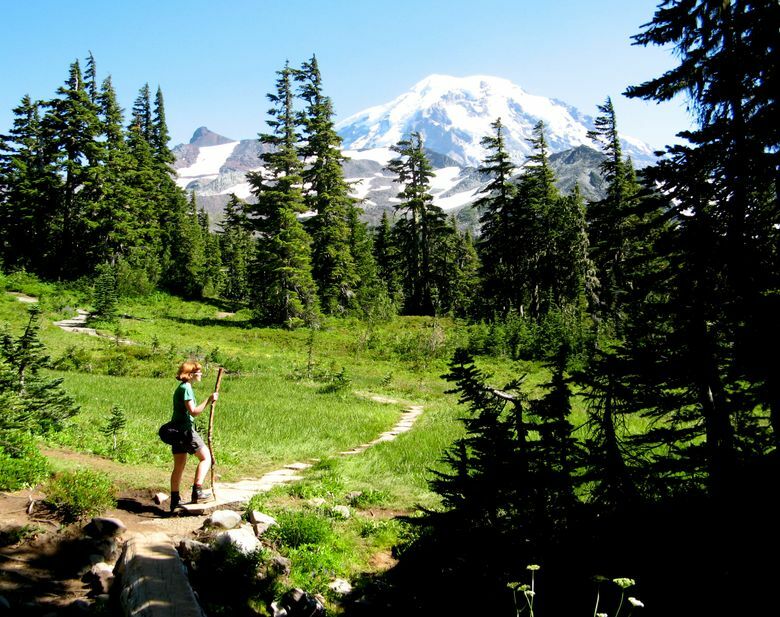 The 93-mile Wonderland Trail circles the mountain, and it climbs up and down from lowland forest to flower-filled alpine meadows with wondrous views of the 14,411-foot Rainier along the way. Below is the explanation from the park on the record number of requests. And don’t give up hope; some Wonderland overnight camping permits are available as “walk-up” permits from ranger stations in the park. And day hikes along the Wonderland Trail, accessible from areas such as White River, Sunrise and Paradise, do not require permits. “The park’s current reservation procedure provides that reservations received between March 15 and April 1 each year are processed in random order starting on April 1. All reservations received on or after April 1 are processed in the order they are received, after the first batch is handled. A small number of Park Rangers are tasked with processing all reservation requests,” said the park. “The number of requests received in 2015 within the first two weeks exceeds space that can be reserved at backcountry camps along the trail this summer. Established carrying capacity for wilderness camping in the park dictates the number of reservations that will be accommodated, and this number does not change annually. Therefore, in order to minimize processing of reservation requests that will then be denied — and to minimize would-be applicants’ frustrations — the park is no longer accepting reservation requests for Wonderland reservations in 2015. Visitors may still seek walk-up reservations throughout the summer,” said the park’s statement. “The park holds approximately 30 percent of available backcountry space for first come, first served (walk-up) permits. Hikers may attempt to get a first-come, first-served permit (based on availability) on the start day of the hike (or up to one day in advance of the start date). No walk-up reservations are accepted before one day in advance of the start of the proposed hike. The best locations to obtain a walk-up permit are the ranger stations at Longmire, White River and Carbon River.